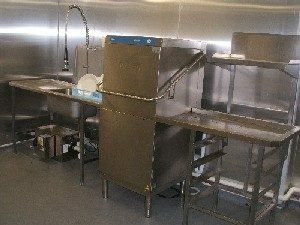 Pass through dishwashers play a very important role in the day-to-day operations of a busy restaurant. If your restaurant generates more plates, utensils, cutlery and pots and pans that can be manually cleaned by your staff in a short space of time, then a commercial pass through dishwasher will help to ensure that your restaurant runs smoother and more efficiently. 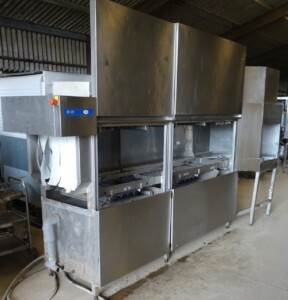 Take a look through our range of dishwashers below, and do give us a call if you have any questions. 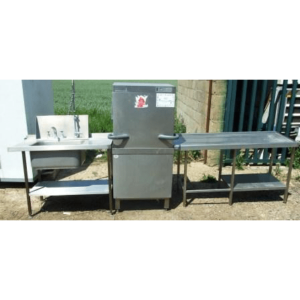 Does your restaurant need commercial pass through dishwashers? Running a restaurant requires a lot more than just cooking excellent food, you may also need pass through dishwashers. You need to have good management skills that will play a role in managing not just the staff, but also the inventory as well. 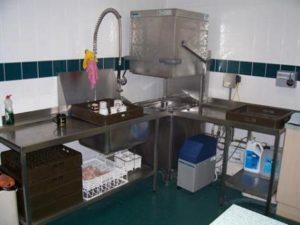 One of the most important aspects, however, of running a commercial kitchen is you need to do a lot of dishwashing as well. This is where having a commercial dishwasher can prove to be your biggest strength. 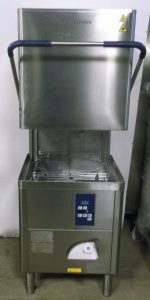 But what are the things to keep in mind when buying a commercial dishwasher? Does your restaurant really need to invest in one? What are the features that make pass through dishwashers the best for you? These are some of the questions you need to get an answer for before buying one. And, that’s exactly what we are going to discuss here in this article. Let us answer these questions one by one. Does your restaurant really need to invest in a pass through dishwasher? The simplest answer to this question lies in the amount of traffic you have at the restaurant. If you have more traffic in your restaurant than the ability of your manual staff to clean it, then your restaurant needs commercial pass through dishwashers. Commercial dishwashers make sure that you have ample flatware and glassware available in your kitchen at all the time. So, you don’t really have to worry about the crockery shortage in rush hours. At the same time, when you know the dish cleaning thing is going to be taken care of automatically, your staff will also focus on their core work. And, not to forget the importance of having sanitized dishes! It’s like killing multiple birds with just one stone! So, now you can easily figure out why your business needs a commercial dishwasher. Turn rate in your restaurant. Turn rate of your restaurant is the one thing that plays an important role in deciding whether your restaurant needs a commercial dishwasher or not. Wondering what is the turn rate? It is basically the number of times your staff needs to clear the dishes from the table. If not taken care of, this could easily coincide with the seating time of the customers leading to a poor experience for them. 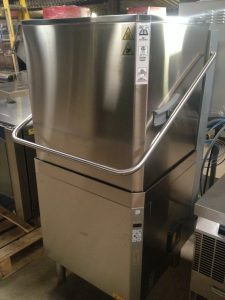 If you are facing problems in maintaining the turn rate according to these standards, it is time to look beyond manual cleaning of the dishes and invest in a commercial dishwasher. 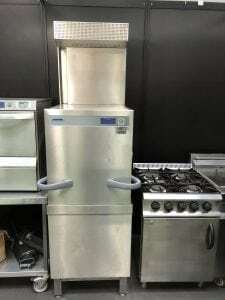 Not every commercial kitchen has the same cooking capacity. Therefore the second important factor to consider when buying a commercial dishwasher is the number of racks you serve per hour. For small to medium sized kitchens, having a conveyor, pass through dishwasher or door type under counter dishwasher is a great idea. The advantages of having such dishwashers lies in the fact that they have arms to sanitized and clean the dishes. And, at the same time, there are ware washing racks which can keep the utensils in place. Similarly, if you have a restaurant that serves more number of racks per hour, then you need to invest in a flight dishwasher. Based on the size of your kitchen and number of racks that you are serving, you can eventually calculate which dishwasher you need for your restaurant. Considering the fact that you can get a used dishwasher at a much-reduced price when compared to a new one, it can be quite tempting to go for the former option. However, one thing you need to remember here is that a commercial dishwasher has a life expectancy of not more than 10-years. You need to, therefore, ask the supplier how long has the dishwasher been in use? 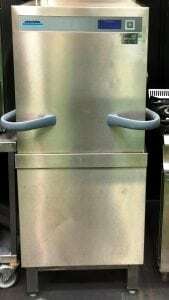 If it is too old, there is no point in investing in a pre-used dishwasher. Also, you need to give due consideration to the warranty of dishwasher, which generally varies from one manufacturer to another. 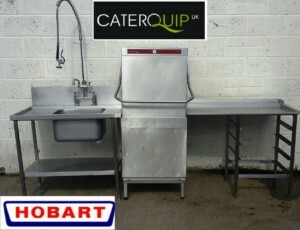 After all, when you are investing in commercial equipment for your kitchen you need to have a credible warranty for the product and its parts as well. That was the most important things to keep in mind when investing in commercial dishwashers for a restaurant. Now that you have a pretty clear idea about the things to keep in mind when buying one, you can eventually go ahead and decide which commercial dishwasher is going to fit the best in your needs. So, what are you waiting for? Go ahead and find the most suitable dishwasher for your kitchen right away! 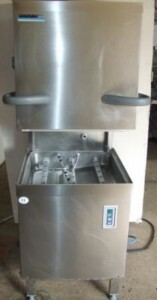 WINTERHALTER PT-M Pass Through Dish Washer – CURRENT MODEL!! Immaculate showroom conditon and curret model. 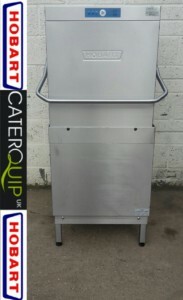 This particular model is £7200.00 + VAT new, so this is a great purchase opportunity. Running a restaurant requires a lot more than just cooking excellent food, you may also need pass through dishwashers. You need to have good management skills that will play a role in managing not just the staff, but also the inventory as well. 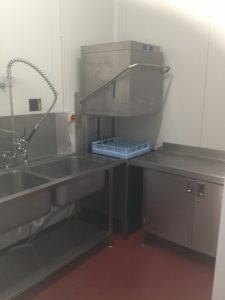 One of the most important aspects, however, of running a commercial kitchen is you need to do a lot of dishwashing as well. This is where having a commercial dishwasher can prove to be your biggest strength. 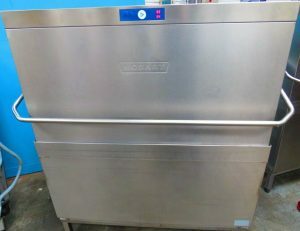 But what are the things to keep in mind when buying a commercial dishwasher? Does your restaurant really need to invest in one? What are the features that make pass through dishwashers the best for you? The simplest answer to this question lies in the amount of traffic you have at the restaurant. If you have more traffic in your restaurant than the ability of your manual staff to clean it, then your restaurant needs commercial pass through dishwashers. Commercial dishwashers make sure that you have ample flatware and glassware available in your kitchen at all the time. So, you don’t really have to worry about the crockery shortage in rush hours. At the same time, when you know the dish cleaning thing is going to be taken care of automatically, your staff will also focus on their core work. And, not to forget the importance of having sanitised dishes! For small to medium sized kitchens, having a conveyor, pass through dishwasher or door type under counter dishwasher is a great idea. The advantages of having such dishwashers lies in the fact that they have arms to sanitised and clean the dishes. And, at the same time, there are ware washing racks which can keep the utensils in place. Similarly, if you have a restaurant that serves more number of racks per hour, then you need to invest in a flight dishwasher. Based on the size of your kitchen and number of racks that you are serving, you can eventually calculate which dishwasher you need for your restaurant. Should you buy a new or a used dishwasher? Considering the fact that you can get a used dishwasher at a much-reduced price when compared to a new one, it can be quite tempting to go for the former option. However, one thing you need to remember here is that a commercial dishwasher has a life expectancy of not more than 10-years. You need to, therefore, ask the supplier how long has the dishwasher been in use? If it is too old, there is no point in investing in a pre-used dishwasher.